Traditions abound this time of year. We stuff the turkey (and ourselves), trim the tree, shop for gifts, celebrate with friends and ring in the new year. Our days are filled with time-honored traditions, but one of my favorites is reading the hottest trends for the new year. Here are my three trends for family business advisors to follow in 2019. As advisors, we relish working through the nuances of intricate problems. For us, getting lost in the details is fun. That’s what makes us capable advisors. This doesn’t just apply to the people you serve. Ask yourself what problem are you trying to solve and for whom. For simple ways to start difficult conversations with your clients, download a free chapter from my ebook, “Is There An Elephant In The Family Business?”. You may be a CPA, estate attorney, or financial advisor, but you’re really in the business of helping people. So how can you turn the financial and legal jargon into something a business owner understands so they buy from you? Well, everyone loves a good story and if you want help telling yours, check out StoryBrand by Donald Miller. Every story, whether it’s a novel or movie, follows a formula. Miller walks you through that formula and explains how to use it in your business. Then, he shares how to leverage that story across throughout your marketing. It sounds old-timey, but give careful thought to where most of our business comes from as advisors. Artificial Intelligence and algorithms are making it easier and faster to do business. But don’t forget that people do business with people and we want to do business with people we know. Nothing beats a referral from a trusted friend. In the New Year, spend time thinking about the key relationships that helped build your business and find ways to reinforce them. The common thread to my trends for the new year is that connection is key. Our clients look to us to deliver on the facts and figures, but before we can do that, we must connect with them. To do that, we have to make it easy. 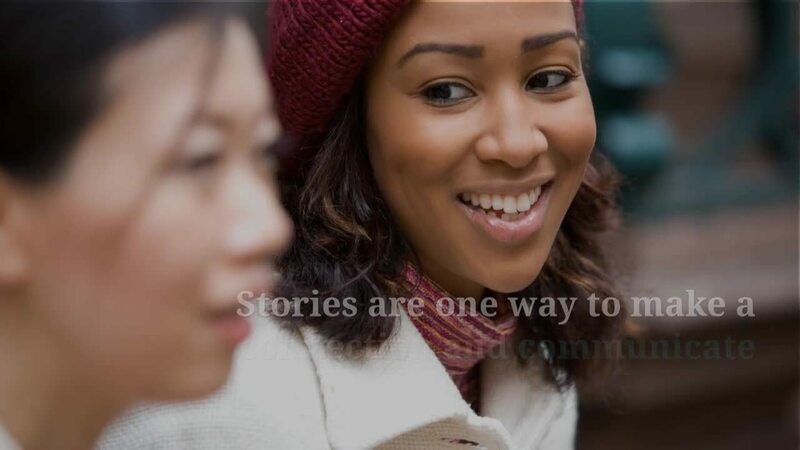 Stories are one way to make that connection and communicate our value. All of which goes to building and maintaining our relationship with them. Being a family business advisor is a rewarding career, but it’s also challenging, especially when your clients are planning for the next chapter in their lives and family business. If you are interested in taking a new approach with your clients and helping them position their business for the future, get my ebook, “Is There An Elephant In The Family Business?” Use the code ELEPHANT for $20 off.